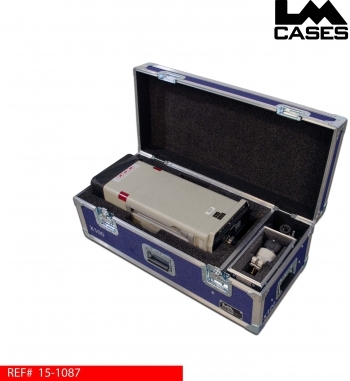 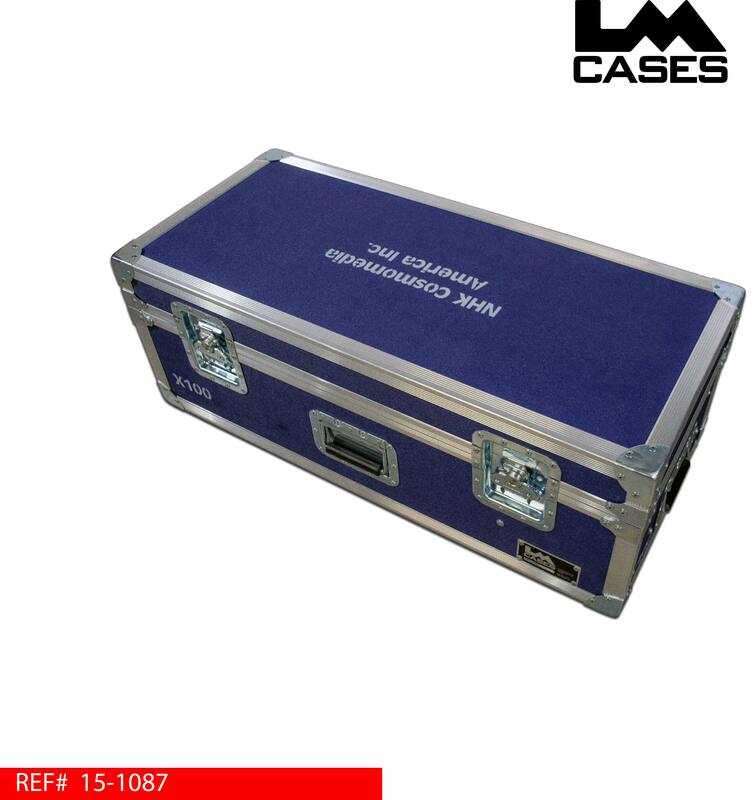 This case was designed for NHK America to hold their Canon Digi Super 100 lens. The case features a custom foam lined compartment for the lens and a separate compartment for the zoom and focus controls. The lens is held in a custom CNC cut foam insert that contours the shape and angle of the lens, its also provides hand slots to allow for easy loading and unloading. 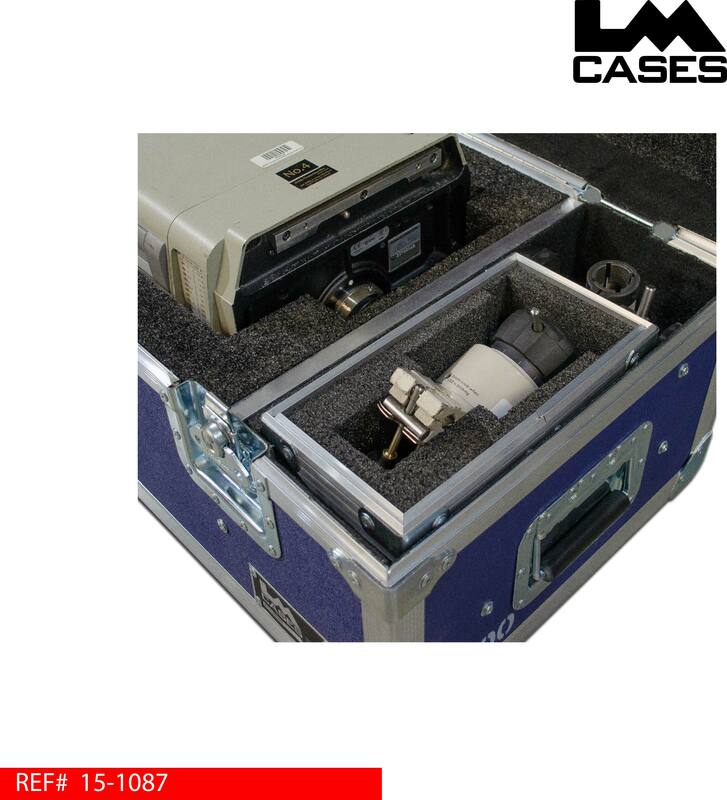 The focus control knob is held in a custom contoured foam insert in a removable tray. 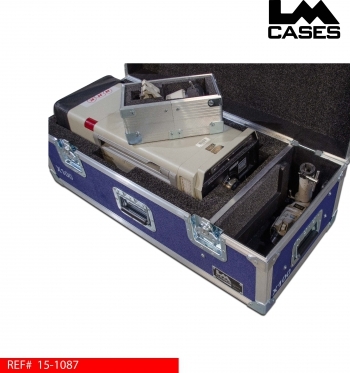 The zoom arm is positioned at a 90 degree angle and stored under the focus control knob. The exterior case is built out of 1/4" plywood laminated with dark blue ABS plastic and features custom stencils of the NHK America logo in addition to serial number stencils for identifying the case.